The Forbidden City, political and imperial heart of China for 500 years, is vast. The vermilion walls that encircle it are nearly four kilometres in circumference, punctuated with vast timber doors that dwarf visitors below. Behind the Meridian Gate, the first courtyard you encounter fits 10,000, and even the thronging tour groups, obediently following their leaders’ flags, seem lost in its vastness. 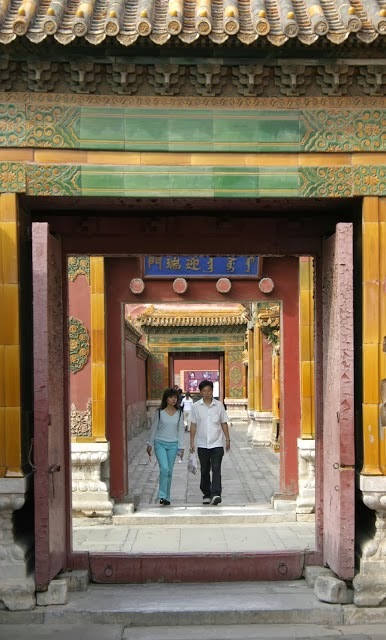 As for the rest, with 178 acres and 900 rooms, the Forbidden City is so large that the last emperor of China took to pedalling around it on his bicycle. 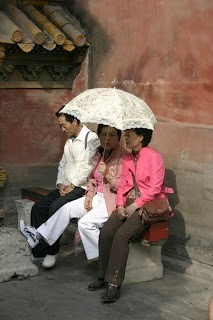 Tour groups tend to gallop through the Forbidden City in an hour or so, which is a shame. Count on at least a few hours to truly appreciate the splendour – some cruise companies offer you the chance to linger afterwards once the guide has departed. The palace isn’t only big but oozes atmosphere, and is best appreciated in its amazing attention to detail, from the turquoise dragons writhing on ceilings to intricate sandalwood screens and bronze incense burners. Don’t expect furnishings and treasures, however. Most of its artefacts were carted off to Taiwan, and have to be seen at the wonderful National Palace Museum in Taipei. It is possible to hire your own guide, though few go beyond parroting in poor English. Seek out a university student, and preferably a girl, if you must. The boys are apt to be obsessed with Forbidden City size and statistics, but the girls will chat about daily Beijing life when you ask. The self-guided audio tour, narrated by Roger Moore, is excellent if you want to get an idea of the history and culture behind the palace. Just don’t forget to wander off the beaten track to some of the more intimate side courtyards at the eastern side of the complex. Few tour groups venture here, and you can often find yourself quite alone with pink walls and stone lions. Listen carefully and you can hear bicycle bells and the honk of traffic from the far side of the Forbidden City’s walls. Forbidden City in Beijing, China. Finish your visit among the 300-year-old trees of the imperial gardens at the northern end of the Forbidden City, where you’ll also find an exit gate. You can relax in the gardens with some mediocre tea from the teashop, which was once the home of Pu Yi’s British tutor, Reginald Johnston, played so memorably by Peter O’Toole in The Last Emperor. 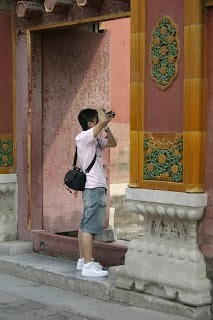 If you’ve been to the Forbidden City or Beijing and feel you have something to add, please do so. Our readers appreciate your tips and memories.